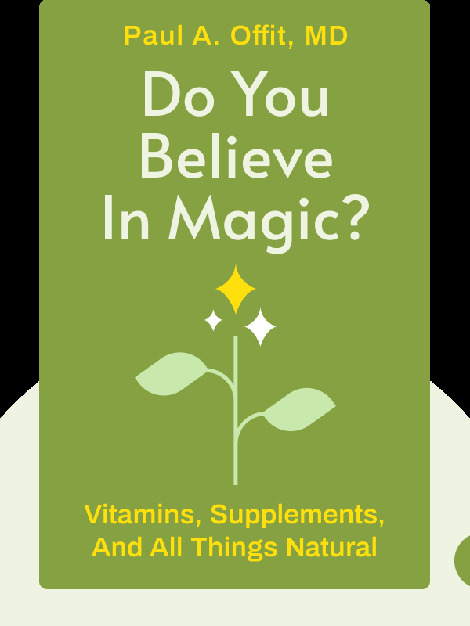 Do You Believe in Magic? (2013) uncovers the hidden truth behind the alternative medicine. 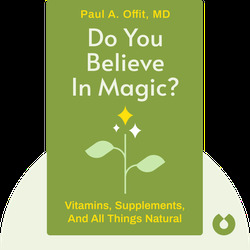 With insightful research findings and revealing case studies, these blinks will make us rethink our beliefs about supposedly all-natural treatments, and their less than healing side effects. Paul A. Offit, MD, is chief of the Division of Infectious Diseases and director of the Vaccine Education Center at the Children’s Hospital of Philadelphia. He’s the author of Autism’s False Prophets, Vaccinated and Deadly Choices.